Our product range includes a wide range of movable wooden louvers, equipment screen and acoustic louver. This a customised product and can br made to suit clients requirement. We have emerged as the foremost manufacturer and supplier of Equipment Screen. The offered equipment screen is praised in the market for its optimum finish. Our equipment screen is manufactured by using high rank basic material and newest technology in observance with international parameters. We are giving this equipment screen in diverse specifications in order to meet customer’s needs. 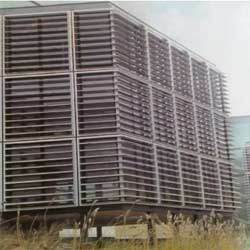 Our organization is actively engaged in manufacturing & supplying of Acoustic Louver. This acoustic louver is manufactured from quality proven raw material & leading technology in accordance with the set norms. As well, our clientele can avail this acoustic louver in several stipulations as per with their demand. 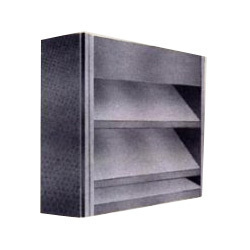 Offered acoustic louver is used for regulating the airflow through fans, ducting & tunnels. Looking for Fixed and Movable Louvers ?